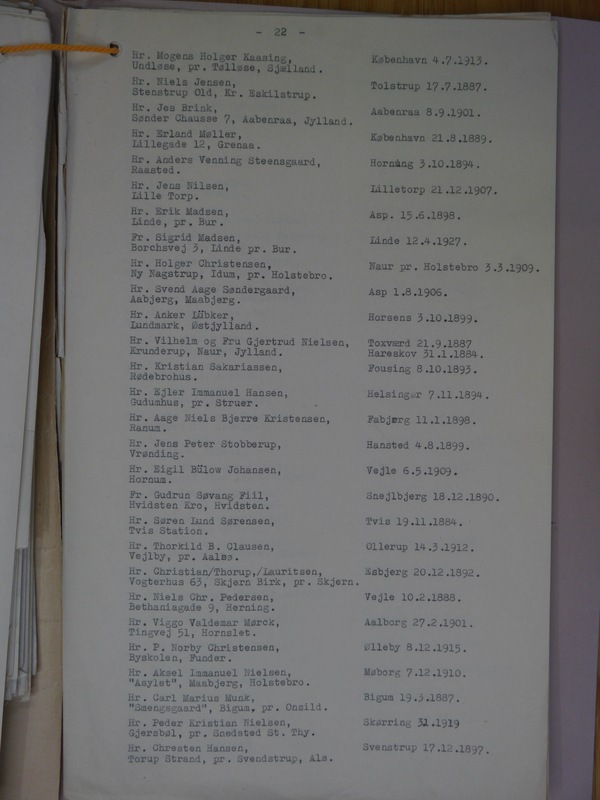 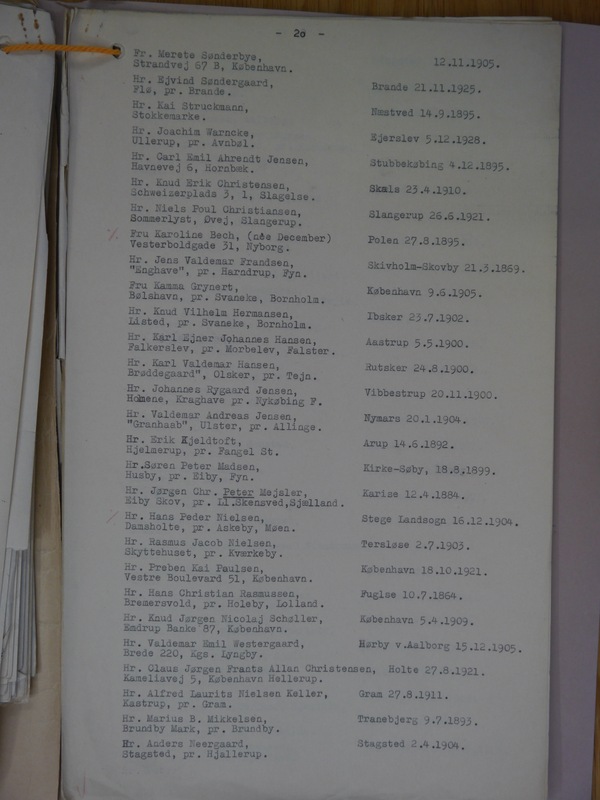 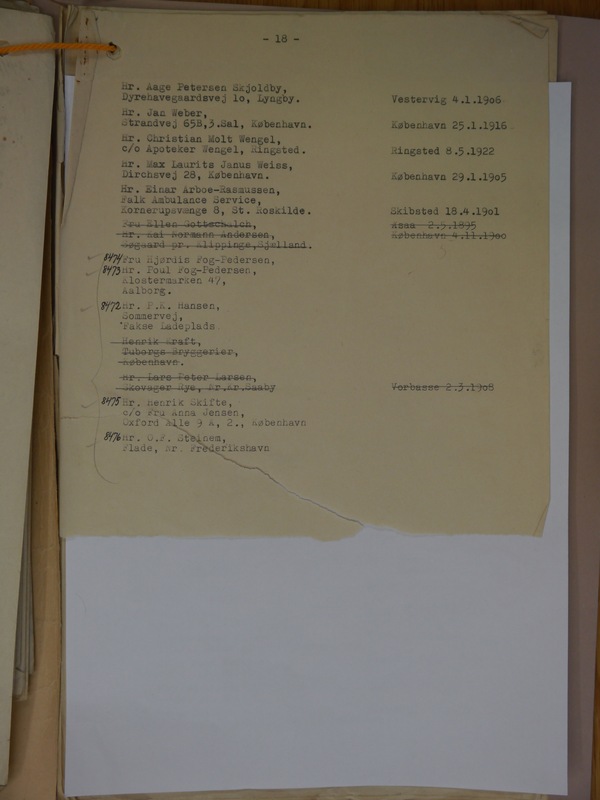 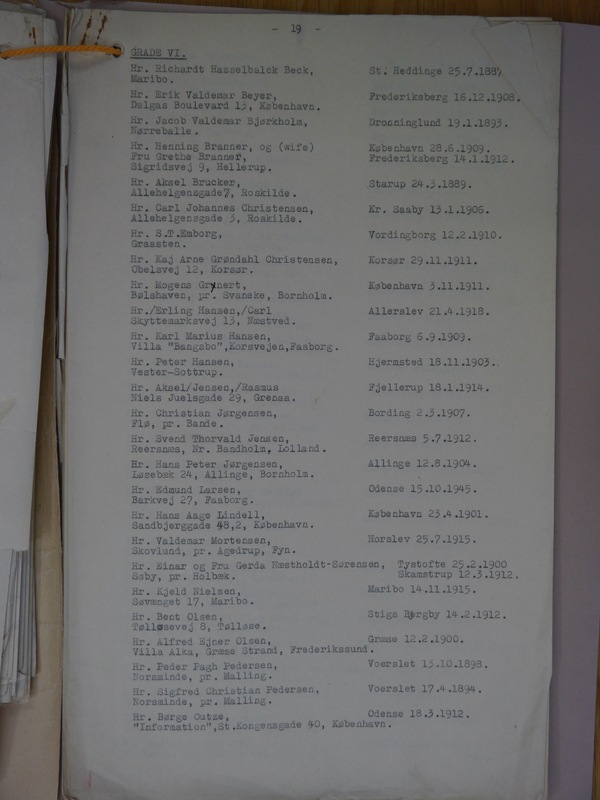 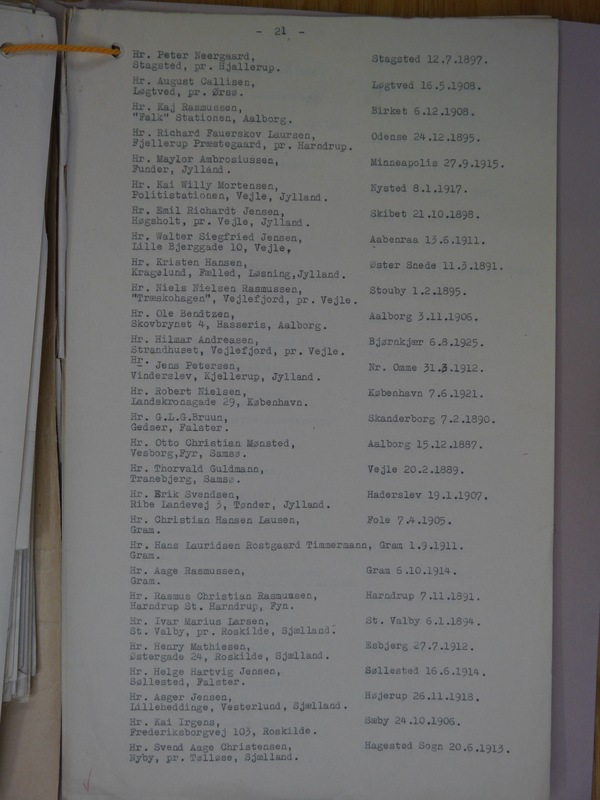 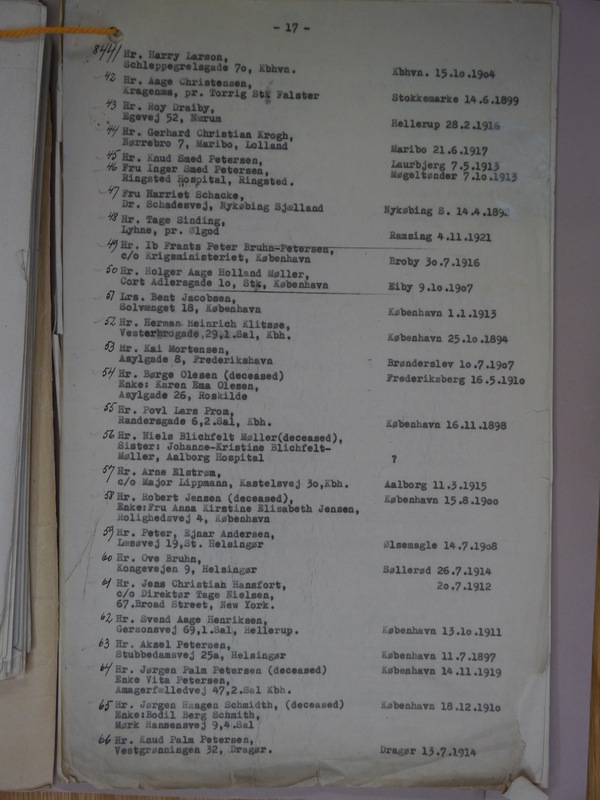 The following nine pages were found at the British National Archives along with the Aaen to Larsen and Larsen to Westergaard lists of Danish helpers that I posted above. 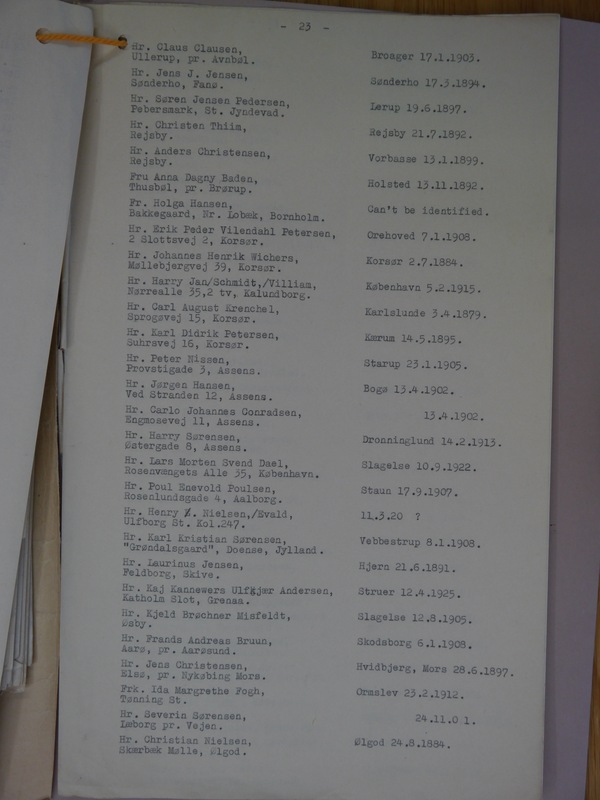 The nine pages contain some 200 names that are in no particular order and appear to involve people whose names are already included in the Aaen to Larsen and Larsen to Westergaard lists. 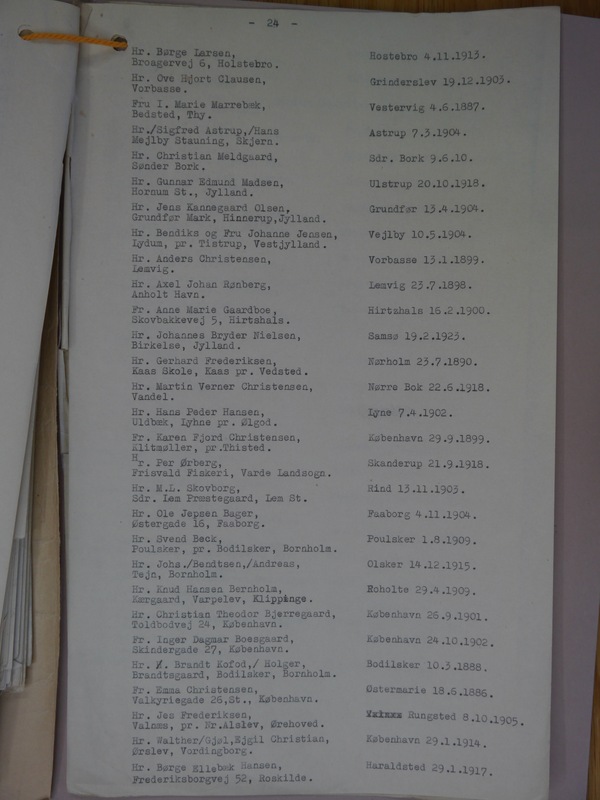 The reason I am reproducing the nine pages is because they include dates and places of birth whereas the other lists do not and, in some cases, more detailed addresses and more in the way of middle names. 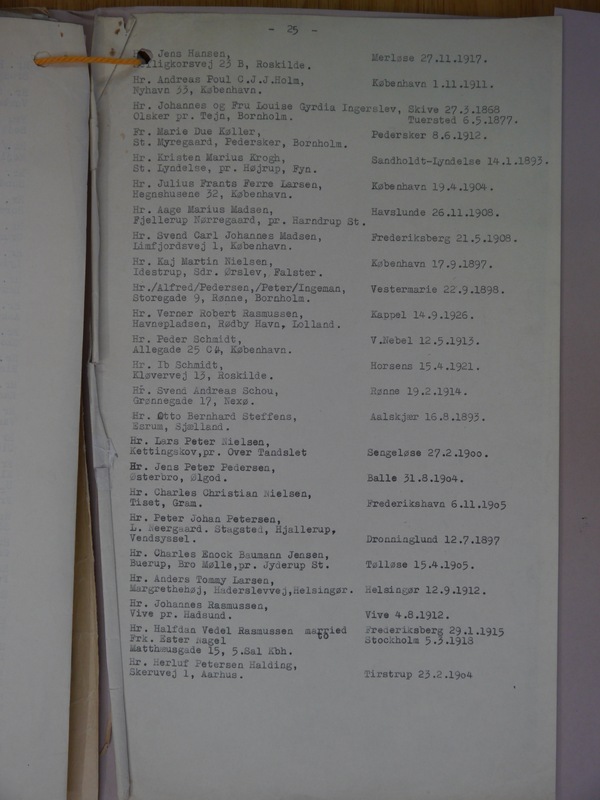 If you are looking for further information on some helper, it may be worth your reviewing these nine pages as well as the main lists.